mourning doves always like company. They are forever trying to see how many birds will fit into a single bird feeder. I think the record to date is 11. Very impressive. 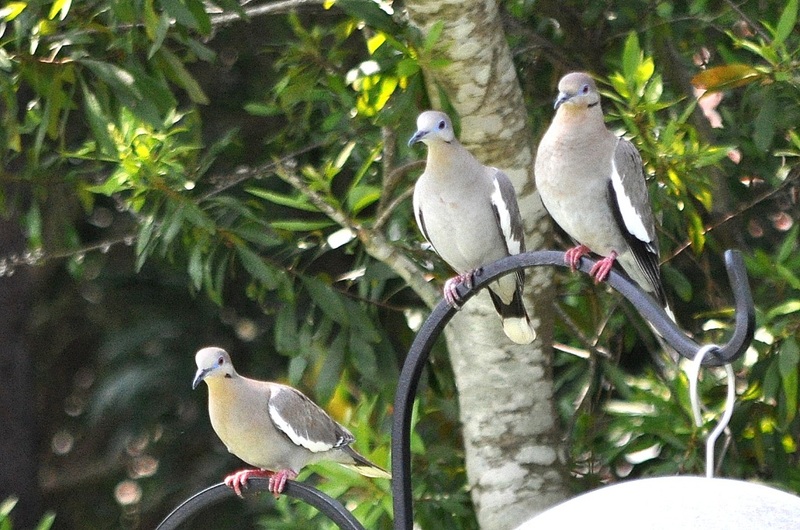 I liked this particular picture of three doves side by side. They look so sweet — not at all like the pranksters they are.